DULLES, Va., Jan. 8 /PRNewswire/ -- Orbital Sciences Corporation (NYSE: ORB) announced today that the U.S. Air Force Space and Missile Systems Center recently awarded the company a seven-year task order contract to provide target vehicles and related support for the Sounding Rockets Program-2 (SRP-2). Orbital was one of four companies selected for contracts that qualify them to compete for up to $96 million in launch services under the U.S. Government's indefinite delivery/indefinite quantity procurement approach. Orbital's Launch Systems Group (LSG), which is responsible for the company's space and suborbital launch vehicle design, production and operations, will carry out the SRP-2 activities at its engineering and manufacturing facility in Chandler, Arizona. The Air Force's Sounding Rockets Program supplies target vehicles that are used to test interceptor missiles and are also used by other U.S. Department of Defense agencies for special-purpose missions. The SRP-2 contract is a follow-on to the Air Force's SRP-1 contract under which Orbital competed for and won task orders to provide nine Navy Theater Wide (NTW) target vehicles, the Quick Reaction Launch Vehicle-1 (QRLV-1) and the atmospheric intercept test-1 (ait-1) vehicle. 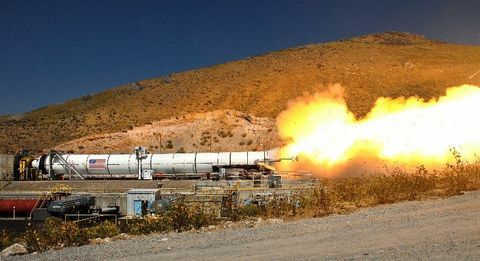 "This contract places us in a strong competitive position to win additional business in the suborbital arena, especially given our successful efforts under the SRP-1 contract in securing new tasks and executing missions," said Mr. Ronald J. Grabe, Orbital's Executive Vice President and General Manager of its Launch Systems Group. LSG's suborbital rockets frequently combine U.S. Government-supplied surplus ICBM assets with new commercial boosters to meet military requirements in a cost-effective, low-risk manner. These rockets are widely known for their reliability and accuracy. Orbital has successfully conducted 101 of 105 suborbital missions over the last 18 years, achieving a 96% success rate. 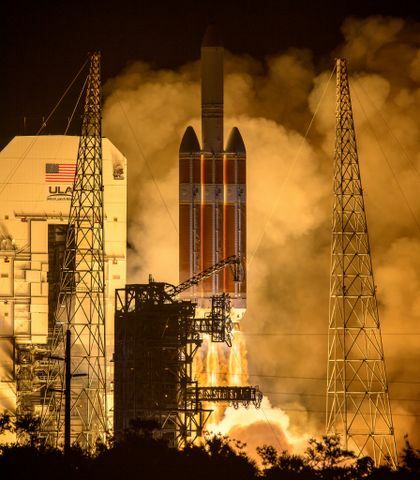 Orbital's most recent suborbital launch occurred in October, when the company successfully launched a target vehicle to test the Patriot missile defense system. 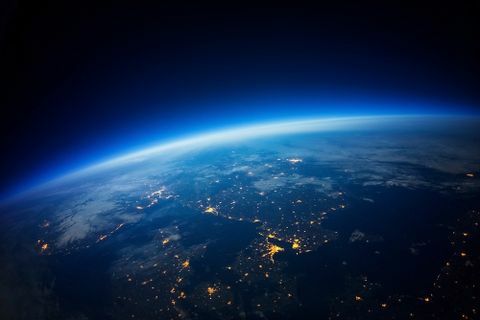 Orbital is one of the largest space technology and satellite services companies in the world, with 1999 total enterprise revenues (including revenues from unconsolidated affiliates) of approximately $915 million. The company, headquartered in Dulles, Virginia, employs about 4,500 people at major facilities in the United States, Canada and several overseas locations.